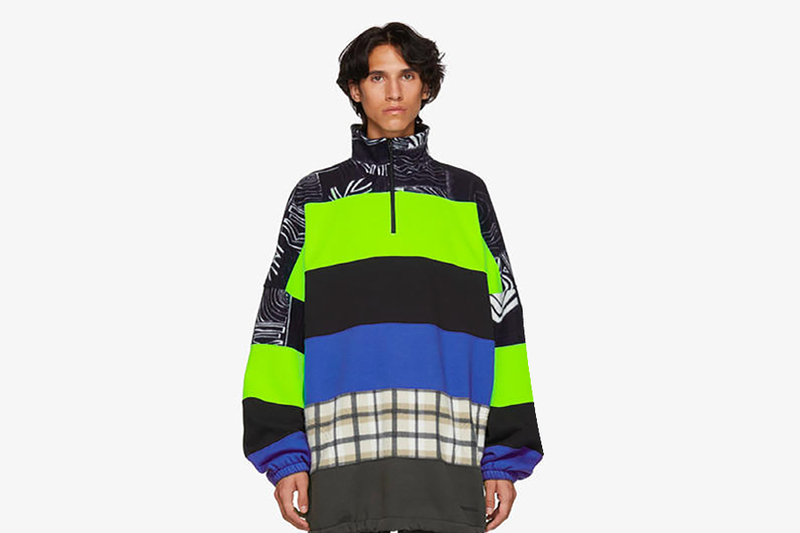 Under Demna Gvasalia’s creative direction, Balenciaga has embraced expressive layering techniques, at times stacking multiple shirts & jackets in a variety of styles, colors, and prints in the same ensemble, as was recently shown in the house’s Fall/Winter 2018 and Pre-Fall 2018 collections, respectively. Part of the latter, are these two Chimney sweater iterations, which renders a new approach to the practice. Stockpiled vertically chimney style, each pullover spotlights contrasting sections, each with its own color, print, and identity, creating a truly unique, one-of-a-kind item. Aside from solid tones, we see such prints, as tartan, leopard and check patterns. Each half-zip sweater retails for a price of $1,150 USD and can be found now at SSENSE. In case you missed it, BEAMS Couture transformed Ziploc bags into customized accessories. The indie bands are hitting the road together. Home of the greatest superheroes. Bart, Homer & Krusty get the X-ray treatment.